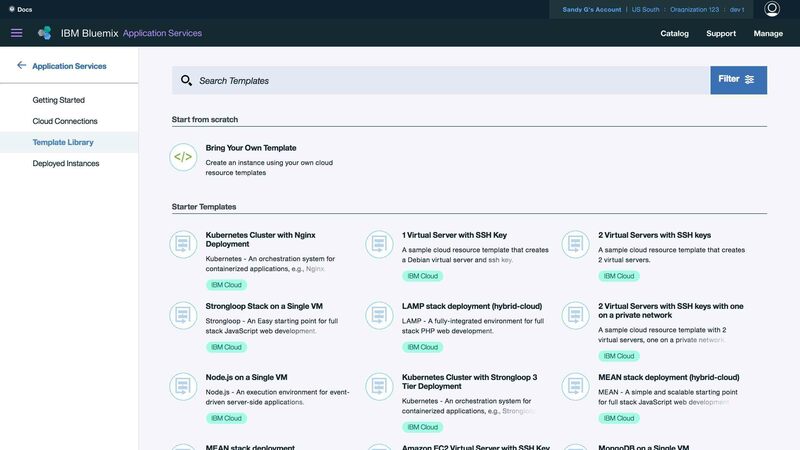 An IBM® Cloud Automation Library is a curated set of automation software blocks that perform a variety of actions on several kinds of payloads including, but not limited to: deployment, component update, integration with other applications and systems, and the ability to move payloads from one cloud to another. Each block is designed and built with proven expertise in handling the payload, giving you the peace of mind that comes from IBM. Access the IBM support team 24 hours a day, 7 days a week. Available via subscription and always up-to date.